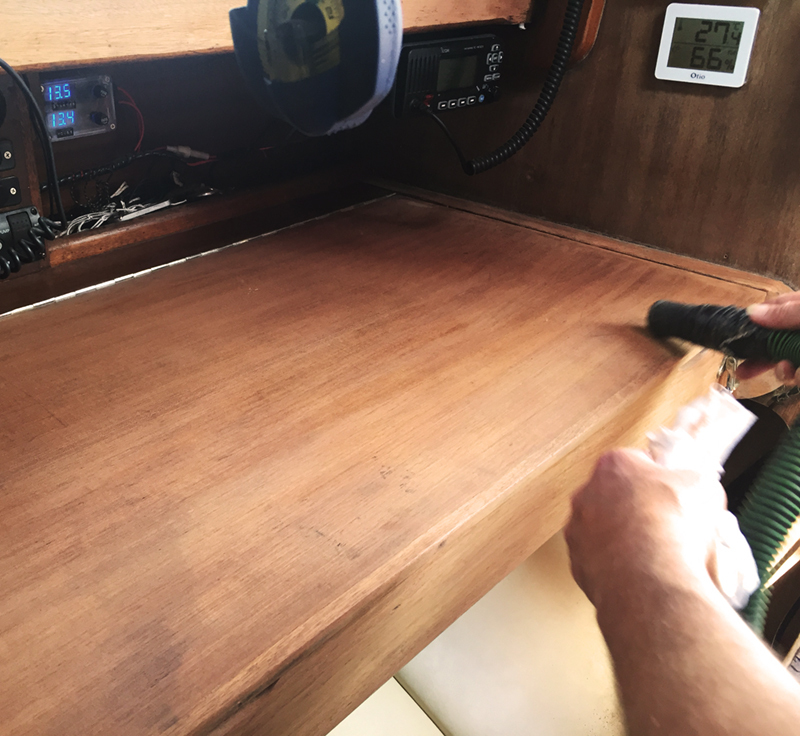 Restoring the teak to its natural golden colour using various techniques of hand scraping and electric sanding. 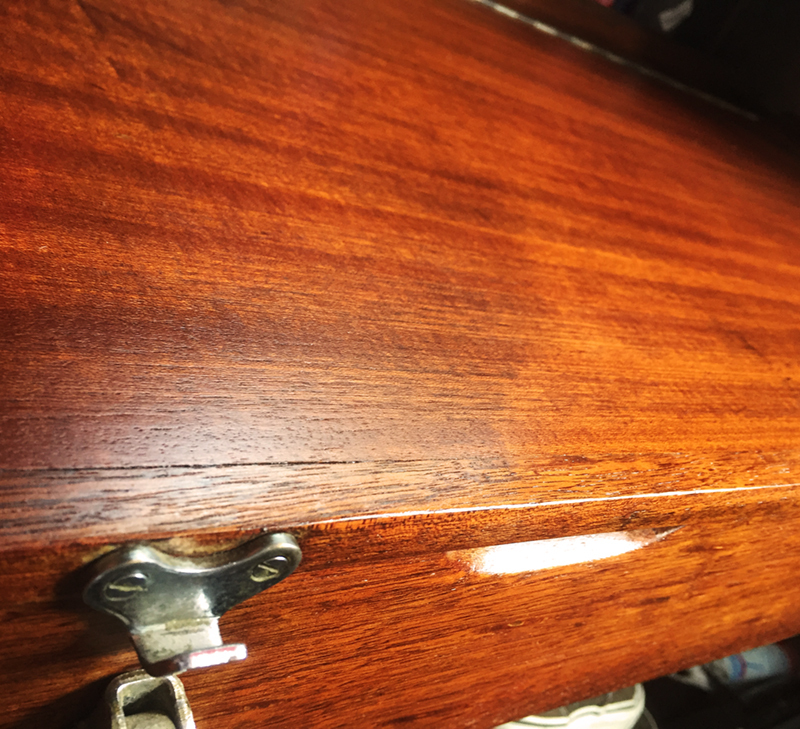 A few harsh British winters had taken its toll and stripped the wood of its varnish. A good sanding and 3 coats of Woodskin oil should see it good for a few years now. 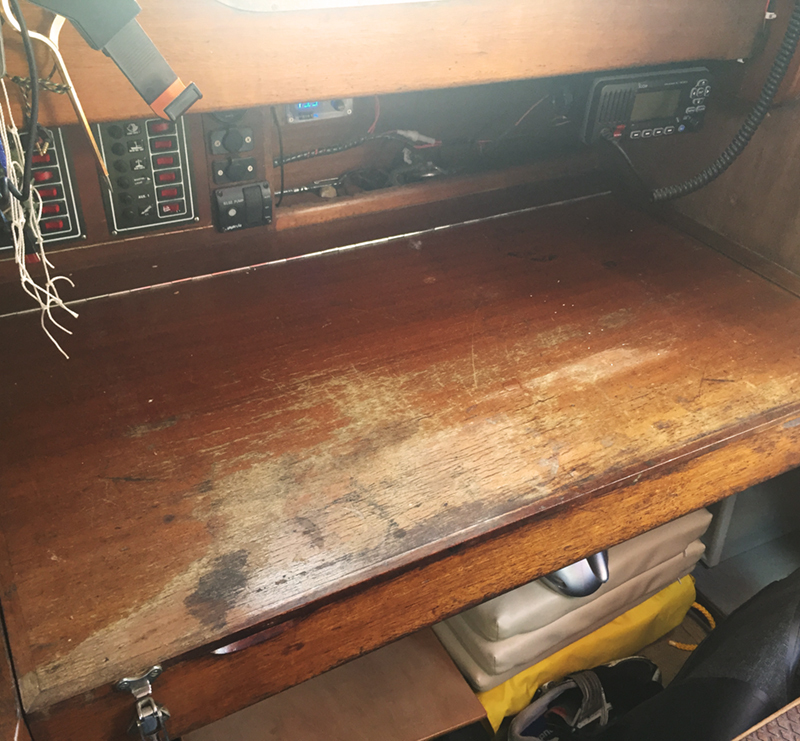 The map table inside had 38 years of wear and tear, it now looks immaculate after sanding and coating with varnish.